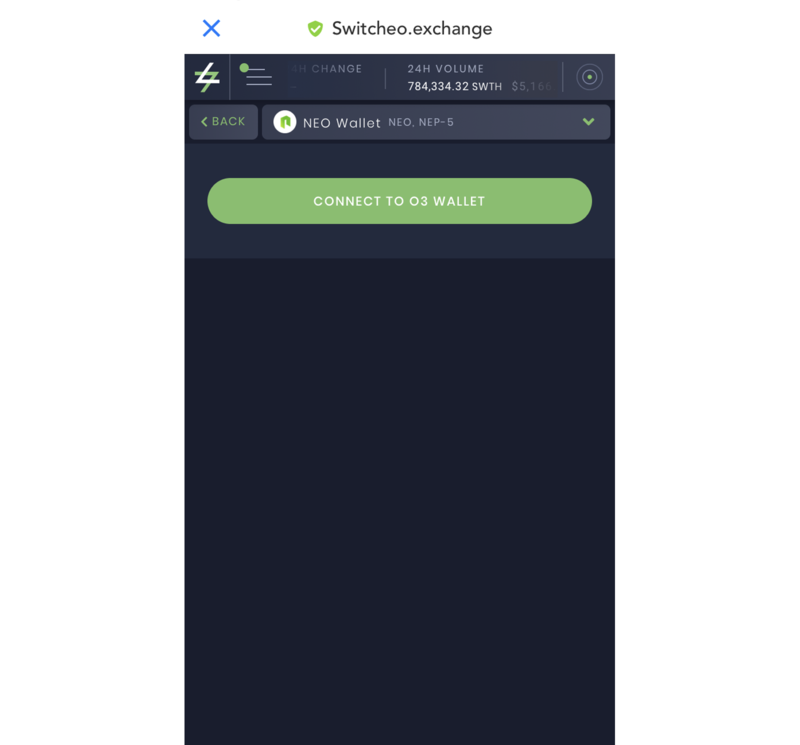 Navigate to the Switcheo app through the dApp browser on your O3 wallet app. 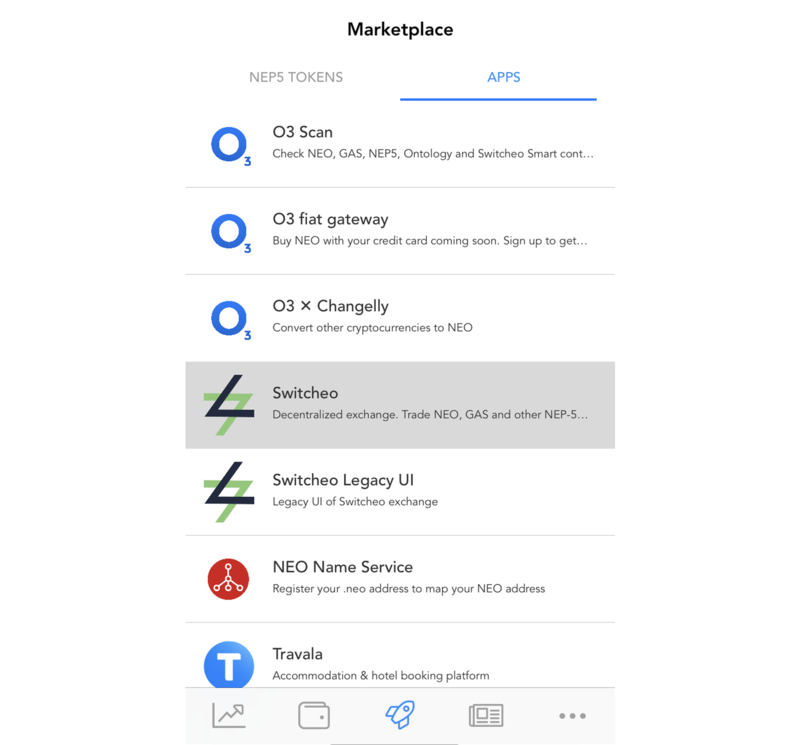 O3 wallet also currently supports trading through their native UI, this guide is for users who would like to use the dApp browser. You may now start trading on Switcheo Exchange on the dApp browser!